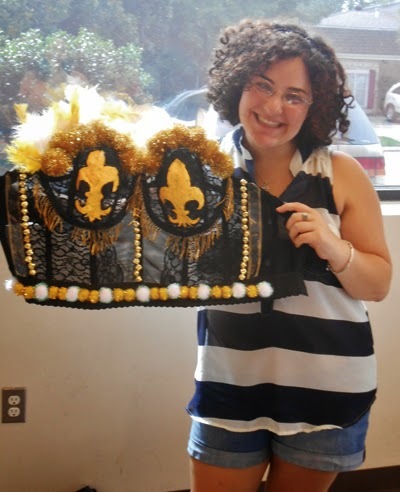 New Orleans Hadassah is holding an “uplifting event” to raise breast cancer awareness and support medical research on Oct. 12. 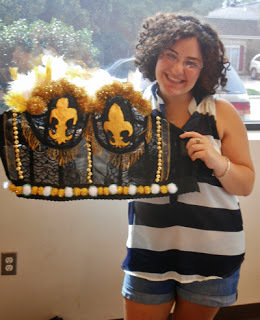 Bra-Veaux New Orleans will feature dozens of art bras, many of which were created by members at an August workshop. Local professional artists are also making art bras and other breast-themed pieces for the event, and all of the bras and artwork will be auctioned. Some of the pieces will be in a 2014 calendar that will be available after the event, and those in attendance can vote for their favorite art bras from the amateur artists. Prizes will be awarded for prettiest, funniest and most creative. Originally some of the bras were going to be modeled, but after they were made it was decided that they were generally too fragile to be worn on the runway. The idea was suggested when Southern Region President Lee Kansas, who is from New Orleans, attended the Brapalooza Memphis and suggested a similar event to the New Orleans chapter, but with local flair. Co-chair Carole Neff said the proceeds “will be used for cancer research at Hadassah Hospital in Israel.” Nationally, Hadassah also provides breast cancer educational programs. Neff said the August workshop produced about 30 bras, some of which were taken home to be finished. Neff, who is co-chairing the event with Marisa Kahn, said there is an effort to encourage attendance by younger members. A “training bra” ticket for ages 36 and under is $55. The event includes libations, “voluptuous appetizers” and dessert from Honeybee Catering, the Siren Sisters singers and raffle prizes, along with the silent and live artwork auctions. Tickets are available here.